Thanks for stopping by. At RCI International handcrafted means handcrafted. All of our RCI acrylic shells are made from a specialty formulated hardened performance polymer made in the USA exclusively for RCI. These are true All American manufactured products made in America by Americans. All of our shells are hand formed, welded at the seam and balanced for "True Continuous Vibration" Copyright ©. It’s impossible to list all the infinite patterns and color combinations that we create due to the fact we are a total custom shop. Whether you are a top manufacturer in the industry, a boutique drum manufacturer or an individual looking to create your dream set RCI deals directly with a personalized service. Our Pattern and Custom shells are precisely geometrically cut and acrylic welded piece by piece and hand formed making it a true handcrafted shell. Our shells are designed and created at our factory in Bridgeport Connecticut USA. 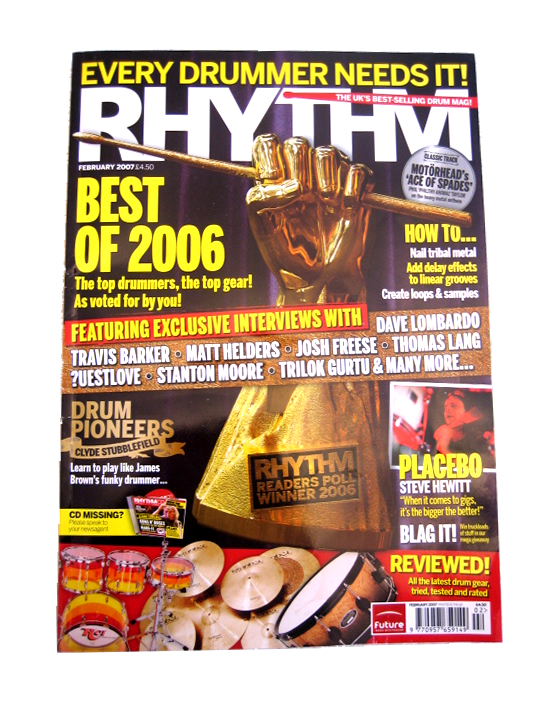 RCI Starlite Drums Gets 4 Star Review in UK's Rhythm Magazine By Famed Writer Geoff Nicholls. Geoff is the Author of John Bonham's "Thunder of Drums"
"RCI have the most solid and resonant shells I've seen"
"Arguably the best acrylic drums ever made with the widest choice of finishes."